What can be more English than having afternoon tea? 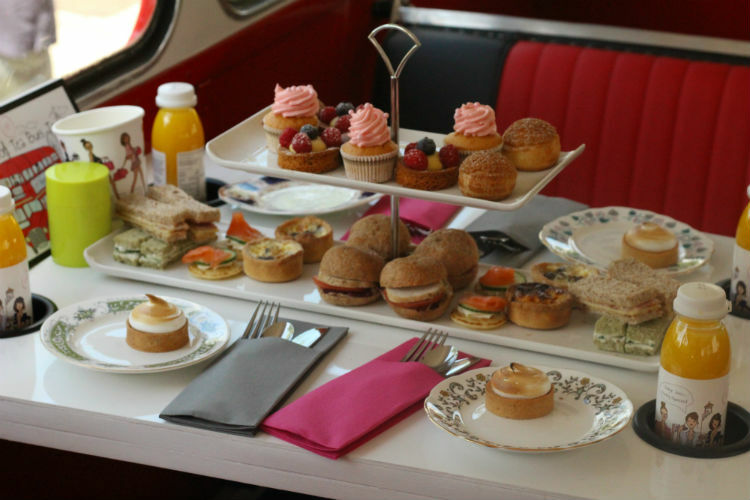 Having afternoon tea on a big red London double-decker. 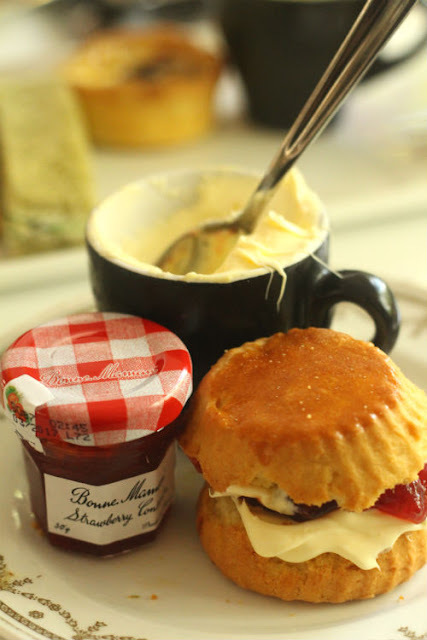 Last weekend I and a group of 16 other bloggers were invited by Thistle Hotels to take in the London sights aboard one of the capital's retired route-masters, while sipping on tea and nibbling on delicate cakes. 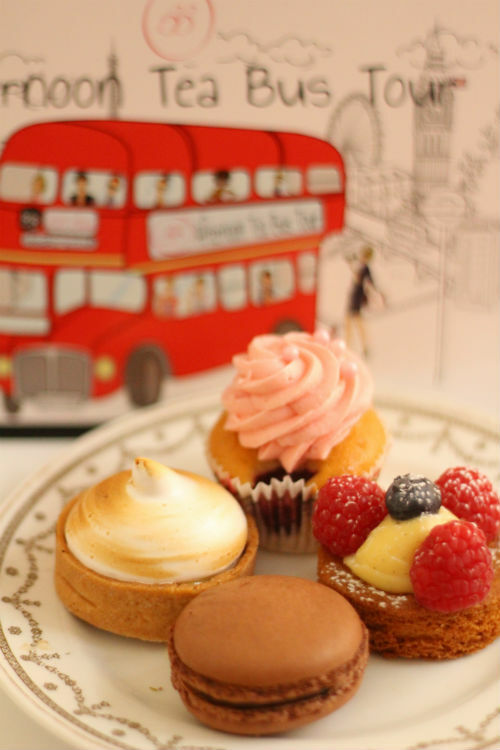 The afternoon bus tour was run by the BB Bakery which is based in Covent Garden where they offer stationary afternoon tea. We were picked up in front of the Iconic London Eye, the first of many of the famous sights we were about to drive by. We crossed the bridge towards Parliament Square and onwards to Buckingham Palace. The tea was served in girly decorated, but very heavy travel mugs that were lodged in holes in the table. We were offered a very wide range of teas and I went for a rooibos tea. The plates and trays were stuck to the table with plastic sucker thingies. Which was good cause the bus would've been plastered with cakes and scones if they hadn't. 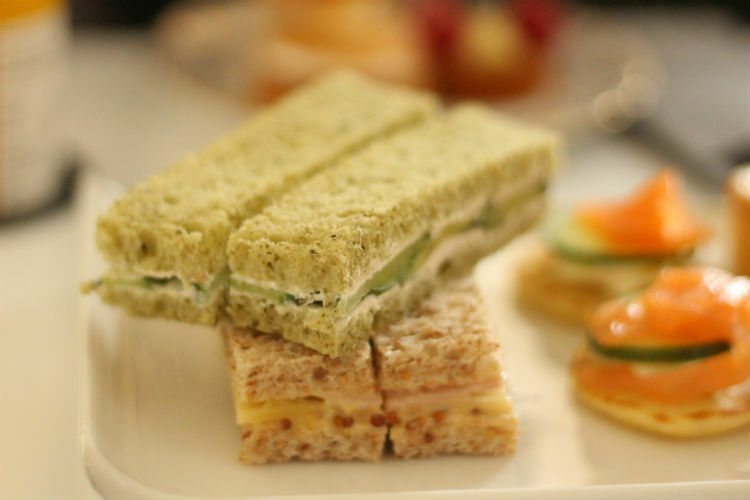 When we got to Hyde Park Corner we indulged in salmon blinis, tiny quiches and a variety of finger sandwiches. In front of the Royal Albert Hall we enjoyed sweet tarts and macaroons. On High Street Ken we had a very fluffy scone with clotted cream and jam. After that things are a little bit hazy in terms of what sights we were passing by. The atmosphere on the bus got cheerier and cheerier, even though this afternoon tea was a 'virgin' one. A couple of the bloggers in the back decided to sing along to the Back Street Boys song that was blaring from the sound system, which I am sure turned a few heads down at street level. 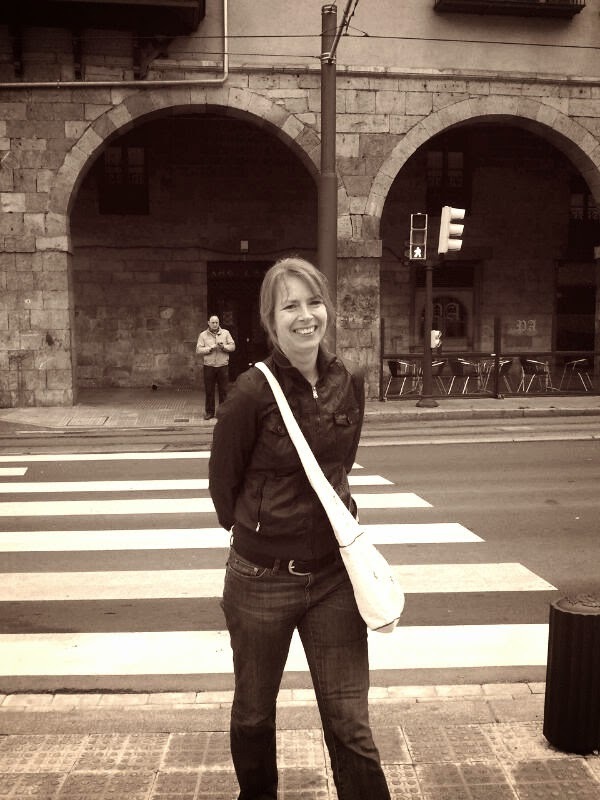 Wherever we were. Two hours later we were back to where we started from. Perhaps not filled with new impressions of London sights, but certainly filled with lots of tasty food and fun memories of this Thistle Hotels bloggers event. If you want to go on a BB Bakery bus tour yourself, you can find more info on their website. WOW! This sounds amazing. That is an afternoon tea with a difference. Shame its not a regular thing. Oh but it is. 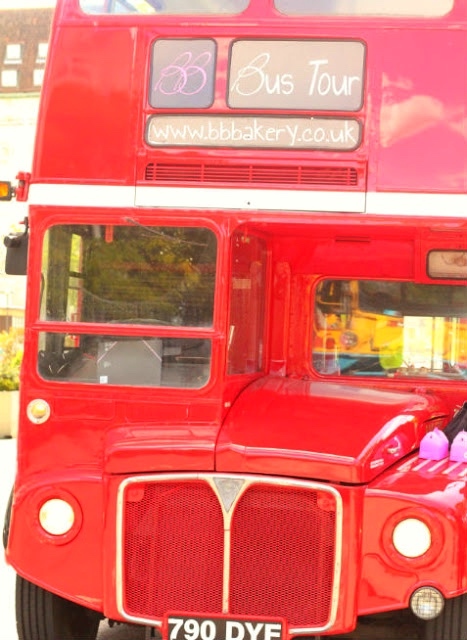 You can go on the BB Bakery bus tour any time you like. It's not just for bloggers. They do tend to book up ages in advance unless you can do a weekday. I booked in January and the August Bank holiday was the earliest. There were a couple random bottom deck seats available 2 or 3 months away. But for the top deck, it was a longer wait and even longer to get the two front seats on the top deck! It's popular for sure.